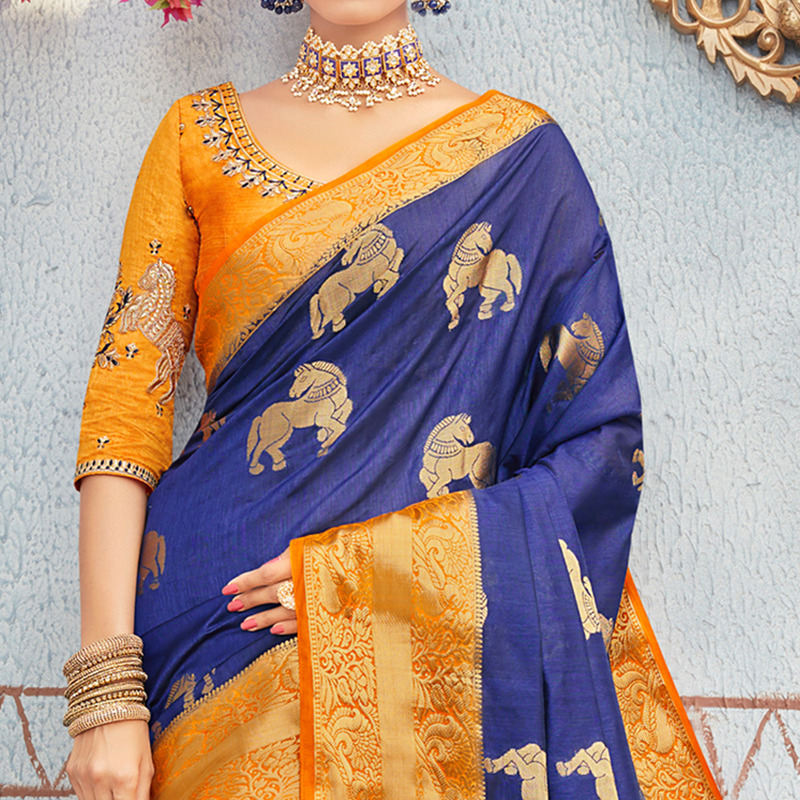 Reign in classic charm and grandeur with this blue and orange colored festive wear saree. It is beautified with woven work which is in traditional pattern. 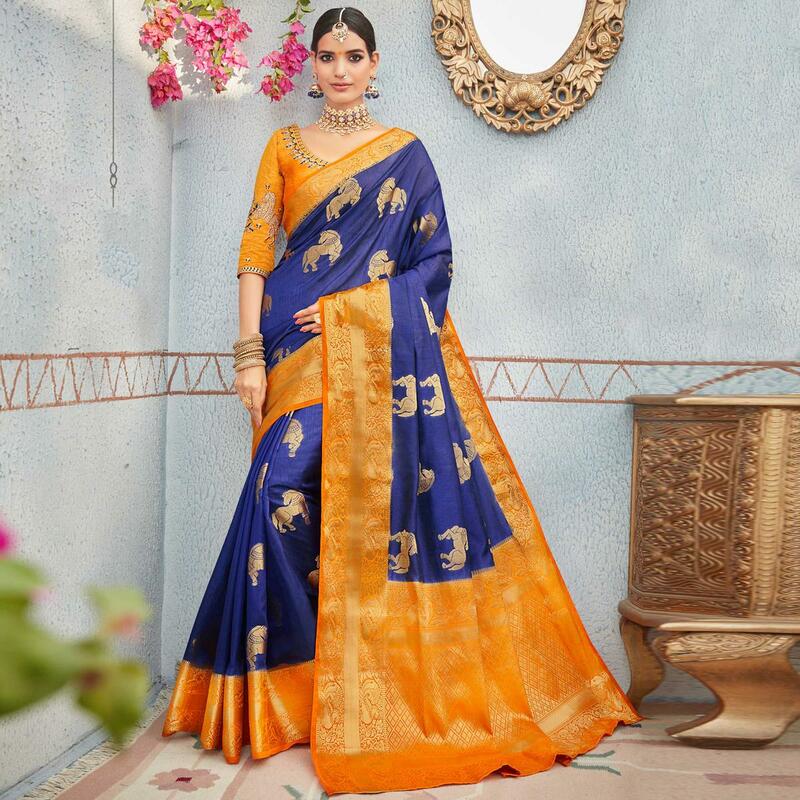 Saree fabricated on banarasi silk fabric and comes with matching fabric unstitched blouse piece, which can be stitched as your style & requirement. This saree would surely attract you showers of compliments when you wear it for festives, functions or occasions. Pair it with classy accessories to make the look more outstanding.